Has the Indian economy slowed down? If so, should Prime Minister Narendra Modi’s demonetization be demonized? These are all-important questions that have sparked a war of words between two of BJP’s bigwigs. 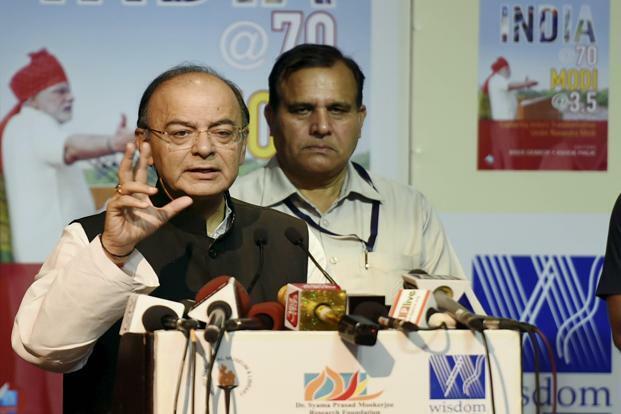 The verbal duelling between India’s Finance Minister Arun Jaitley and ex-Finance Minister Yashwant Sinha shows no signs of abating, with Mr. Sinha hitting back at Mr. Jaitley over his “job applicant at 80” jibe. “If I was a job applicant, he (Jaitley) would not be there in the first place,” Mr Sinha said. Responding to the article, Mr. Jaitley, speaking at the launch of India at 70, Modi at 3.5 – Capturing India’s transformation under Narendra Modi, by Bibek Debroy and Ashok Malik, took a swipe at Mr. Sinha saying, “Probably, a more appropriate title for your book would have been ‘India at 70, Modi at 3.5 and a job applicant at 80’.” Without taking names he further said he did not “have the luxury as yet of being a former Finance Minister; nor do I have the luxury of being a former Finance Minister who’s turned a columnist.” Mr. Jaitley also took a swipe at Mr. Sinha for “acting in tandem” with Congress veteran and ex-Finance Minister P. Chidambaram.